Balancing the desire to provide student choice with responsibility and accountability. 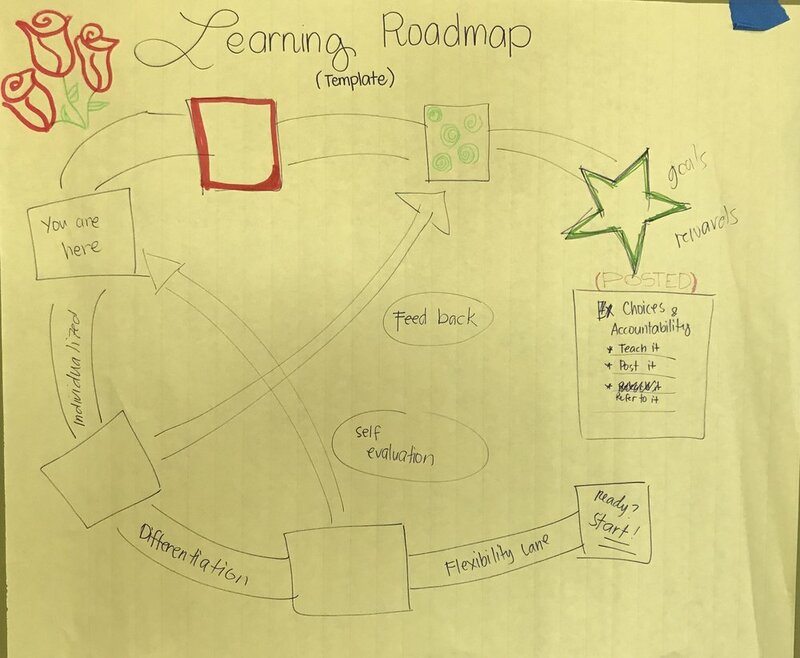 Designers created a customizable roadmap where teachers and students collaboratively set behavior goals and learning targets. Roadmaps include areas where students and teachers can agree on flexibility, differentiation, and individualized learning opportunities. Also included are "guideposts" for feedback and self-evaluation.